Come on, we all love this film and if you don't there is something wrong with you. Join Meds and Kell as they chat away about this classic 70's movie. 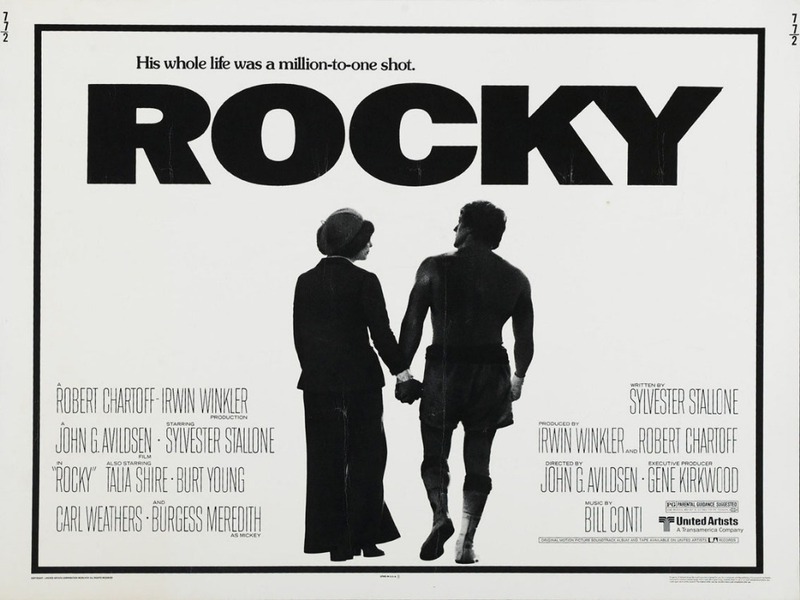 Sly Stallone was near enough an unknown at this point of time yet he managed to not only star in this film but write it as well. The film is simply iconic. As usual you can listen on podbean direct or download it at iTunes (please subscribe) at Stitcher radio or find us by your usual podcast server. Please leave us feedback on any of these sites and we will read them out. Comments and feedback also to waffleonpodcast@gmail.com are always lovely to receive. Want to help Waffle On Podcast? If you fancy helping Waffle On out you can by a couple of ways. 1. We have a PayPal donate button on this site, its on the right hand side under the banner PayPal, help the show. 2. Become a Patron. This is a new thing and if you click on the button on the top of the Waffle On Page. Its basically an insentive programme. You donate monthly and you get some free stuff. Nice.